Diagnostics|Brandon, FL :: Scott's Automotive Inc.
Isn’t it great to be able to know when your beloved car is having problems? This is where automotive diagnostic come in to play. here are some strategies on how you can diagnose car problems. Start your automotive diagnostic by checking the oil. If the oil level is low, then there may be a leak or burn. Additional oil can remedy the problem but unless the problem is resolved, the leak or burn may continue. For oil leaks, seal the gaskets. For oil burns, replace valve guides and seals. Oil burning most likely occur when these parts become worn out. The next automotive diagnostic step will be to check for the your oil’s viscosity. 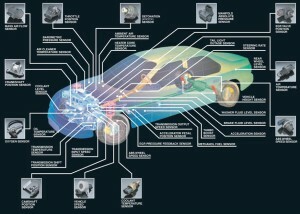 Viscosity plays an important role in vehicles. Oils with heavier viscosities are not suited for cold weather. Light viscosities on the other hand are not fit for hot weather. Upon diagnosing car problems, you will see that the former will cause start up lubrication problems, and the latter will cause hardships in maintaining good pressure. If the warning light remains even if the unit is disconnected, then there is a short circuit in the warning lamp’s wiring. If there is no change in the gauge reading, then there is no problem with your engine; but you need to check the instrumentation. If the warning light does not come on, do not be lax. Some readers do not give warning signs unless the pressure is extremely low. Hence, never hesitate for more automotive diagnostic tests especially if the car engine is giving out valve or bearing noise. If the pressure sending unit gives extremely low readings, then you must check the filter. Diagnosing car problems involves even the tiniest auto part there is. Sometimes, the filter is just filled with gunk. The next thing to do when diagnosing car problems is to drop the oil pan and then check the oil pump screen. If the screen becomes clogged with debris, then you found the culprit. The last automotive diagnostic tip for you is to check whether the pick-up tube is properly mounted. If it is properly attached to the pump, then you can rest assured that there are no leaks and that the tube is not obstructed. After identifying these automotive diagnostic problems, then it is time for you to do the final check. Start your car engine and make sure that every reading falls within the vehicle’s specifications. Automotive professionals stress the fact that you should never ever rely on just the dash gauge or warning light when checking the automotive diagnostic result. Always use a mechanical pressure gauge when diagnosing car problems.